A year latter and I still love this ottoman. It’s sturdt and look just as good as the day I got it. 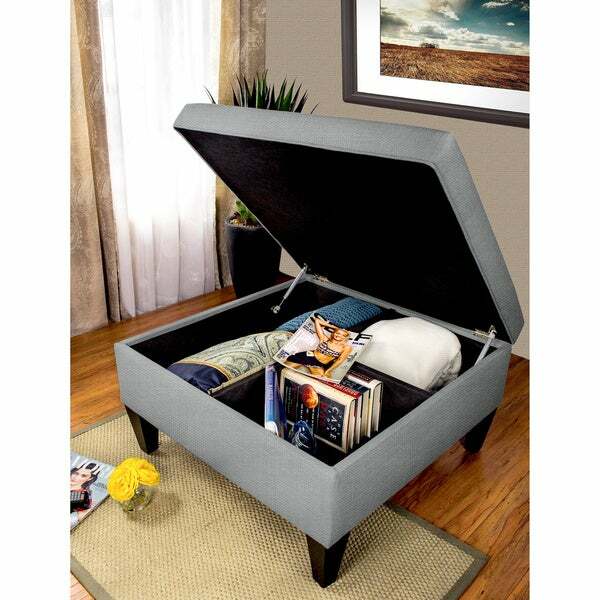 Store and organize your family, living or bedroom items with ease thanks to this handy ottoman. Constructed from solid wood, this durable ottoman features a flame-retardant foam filling to ensure safety and is available in a number of color choices to match any existing decor. Awesome piece for a great price, i love that this ottoman has storage because living in an apt. you need all the storage you can get- this ottoman is exactly like photos and didn't require assembly. This ottoman looks so great in our living room. The color is so rich and beautiful. It's a perfect size for our room, and hold all of our clutter. This ottoman is nice and sturdy in construction and materials. The color is rich and vibrant. The oversized design is great for my whole family to share. I love it & would reorder! Love the look the style and color. The storage is fantastic. I just wish the top was a little softer. No biggie. Love this ottoman. We bought the teal colored to use in our new house. We've used our coffee table as an ottoman in the past so I figured why not buy an ottoman for a coffee table! We like the size, the hidden compartments and the color. We've only used it for a couple of weeks but so far so good. I LOVE..LOVE...LOVE.... MY OTTOMANS. THEY ARE THE PERFECT RED, I PURCHASED MY PILLOWS FROM WALMART. I AM SO PLEASED. U RECOMMEND THEM TO EVERYBODY, MY GUEST ASK WERE I GOT THEM SND I SAY ...... OVERSTOCK .COM...... APPLY FOR CREDIT AND SHOP.. SHOP...SHOP.!!! 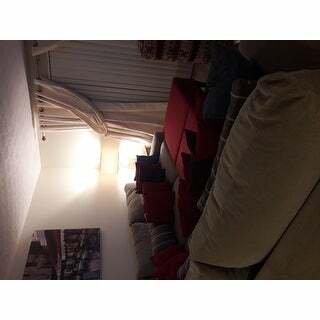 Huge, sturdy ottoman, and the space inside is great! Beautiful color and size. I bought this piece looking for the perfect accent for my gray couch. The texture and color and size are perfect. Its a beautiful piece. This is an absolutely beautiful terracotta color. Hinges are great, compartments space things out nicely, material hasn’t snagged and we have 3 dogs and 2 cats who climb over everything. "How tall are the legs? Are they removable?" The legs are 7 inches.